Variable Refrigerant Flow Air Conditioning Systems are an extremely energy efficient means of regulating temperature in commercial properties. Often you will find yourself requiring different temperatures within different zones of your building in order to operate. VRF air conditioning systems are the perfect solution to ensuring that the correct temperature is maintained throughout the day, taking into consideration internal and external factors. 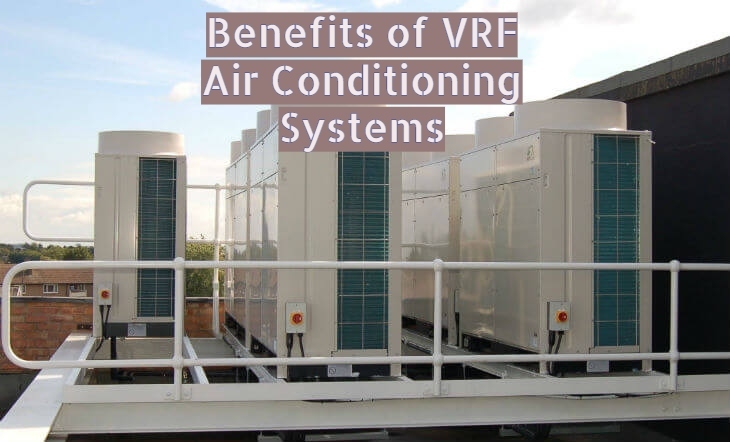 VRF is a state-of-the-art air con system that has a variety of benefits you may want to consider if you are looking to integrate an air conditioning system. As mentioned, the VRF system is one of the most energy efficient air conditioning systems. Unlike other systems, they do not use large distribution ducts which avoids any loss of heat or cool air. The system is also able to minimise energy consumption by utilizing optimised compressors, exchangers and using inverter technology. All of these elements help to increase energy efficiency, saving you money in the long term. One of the biggest benefits of the VRF system has always been how resilient they are and how little they break down. Whether it’s the middle of Summer or Winter, nobody wants to deal with extreme temperature changes, especially in a commercial setting. As the system is designed to only run under partial load conditions there is a lot less stress on the internal mechanics. Whether you have an indoor or outdoor VRF system, you will find it to be extremely quiet meaning they can be placed anywhere on your property without causing a disturbance. During off peak hours, the system can also be placed in Night mode so that it operates even quieter. If you are looking to integrate an air conditioning system that is energy efficient and can improve the sustainability of your building, then VRF systems should definitely be on your radar. Please get in touch with the team at Sovereign Planned Serviced Ltd for an initial consultation or call us at 0800243638 to a talk to a member of our team to find out more about having a VRF system installed on your commercial premises to help control temperature.